So its February and I have been loving our winter weather lately, but I am definitely looking forward to those lazy summer days, relaxing in the garden, glass of wine in hand…. I though I would catch up with you guys and let you now about my latest PR packages and exciting things to try. Yes, everything you see on this post was very kindly GIFTED to me and I am so thankful to be able to work alongside some amazing brands! In the spirit of Valentines Day I received as beautiful package from Pixi Beauty which honestly made my heart melt. I have worked with Pixi in the past and their products are incredible, so when I opened this one, I was beyond excited. This is the “Reflex Light” palette and just look at those colours…. I mean, talk about metallic! I love how the colours can be used for everyday looks from the creams to the pink and also to a more smokier look too. I love the packaging and the theme of the collection, a mirror would be handy on the palette but i’m just being picky. From these swatches you can tell how rich and beautifully gorgeous they are. My favourites are probably the golds and rich copper colours, they just glided on to the skin. I have already tried a few different eye looks and LOVE how easy they are to blend in to one another. The second palette, “Mixed Metals” is just as beautiful with a few more browns and deep reds which is just dreamy and was perfect for Valentines Day. Have you tried the Pixi range? I absolutely adore it. If you have let me know your favourites in the comments. Once again, this is a Gifted post so a big thank you to Pixi for sending me these beauties. Don’t forget to follow me on my fave place Instagram, you will find new posts there everyday. Keep up to date with me HERE. *This is a Gifted post with products kindly gifted by Pixi Beauty. All opinions are my own. I hope there are not too many sore heads this morning! I started the night with a G&T and finished with a cuppa. I was in bed by 11:30 so i’m feeling very refreshed and ready for a productive start to the year. I’ve been thinking about resolutions for a while, I much prefer ‘goals’ than the term ‘resolutions’ – I think it just sounds nicer? There are so many little goals I have already made for this new year and I cannot wait to share them with you lovely lot. If you have any resolutions or goals I would love to know, so let me know in the comments. 1.Take more care of myself and managing my time better. This one is so important in many ways! I’m the type of person to put other people before myself which is great but sometimes I really do forget to look after number one. Particularly recently I have been so busy with work, wedding plans etc, I wasn’t looking after my body. My skin has been extremely dry and I just haven’t been treating it (until now). I also got into a routine of getting in from work, doing housework, making dinner, having a shower, going to bed and REPEATING that vicious cycle over and over. It really does just drain you. So my plan to manage my time better and think about myself is in full swing today – I have made a list in my new planner of all the thing I want to do today – so far so good. This goal I have kind of been getting in to recently. Me and my husband have both agreed to try new places, whether it be for coffee, for dinner or shopping – the world is meant to be explored and that’s just what we will do. Now I know you all love my Primark hauls, this doesn’t mean I won’t be shopping there ever again but maybe make wiser choices on what I buy. As I have gotten older I have realised how much I appreciate the quality of certain items such as clothing. They last longer, they look better and I appreciate them a lot more! I have already started sorting through my clothes; making a pile for the charity shop – I feel instantly better just for even beginning the clear out! This has always been one I have struggled with. I am social media crazy and it’s part of my life so I have found it hard to put down my phone and pick up a book. Don’t get me wrong I do read, but I never commit to finishing an entire book. My sister has bought me a book from Blind date with a book (if you haven’t heard of them before, please check them out) and I am going to start it tonight, in bed with a cup of tea. I would never of expected my blog to have grown as it has. I absolutely adore this space, writing my thoughts, reading about other people and their passions – It is truly an amazing thing. Not too many members of the older generations realise how effective and brilliant social media is. It is such an amazing tool that has lead me to work alongside some amazing brands and people. I have made new friends and had some fantastic experiences. This is not just a hobby, it’s a lifestyle and I absolutely love it. I already have really good vibes for 2019 and I am definitely going to make it everything I want it to be and MORE! Make sure you keep up to date with me daily on my socials below and let me know your goals too! Have a wonderful New Year and make sure you make it yours. Well, Christmas is almost here again and I can’t wait. There is nothing I love more than spending this special time with family and friends, not to mention all of the festive food and drink… there is usually a lot of that. However – my passion for all things beauty gets me intrigued and excited for all the new Christmas makeup, skincare and beauty products there are this time of year. So I have created this handy-dandy gift guide that includes some of my favourite beauty gifts to date. I hope you find some inspiration for those last minute purchases and enjoy looking at some of my ultimate faves. A little bit of luxury – even if it is just a lipstick – I adore everything about the Tilbury brand from the packaging to product, if your looking for that special gift for a special someone, you can’t go wrong. The benefit gift sets are so adorable this year. This one includes all my faves and are all FULL SIZED. Plus the cake tin it comes is reuseable and would look so ‘sweet’ on a vanity – I’m good with puns..
My favourite thing to do in Winter is to relax in a hot bath filled with bubbles, and bath bombs are just pure heaven. Im alway grateful for a bathbomb any time of year! This was my first EVER brush set and I still have it to this day. Granted its been a few years but they are a fantastic set for everyday use. Christmas time is the time to sparkle and shine – I love Stila shadows, these ones are so long lasting and make me look just like a Christmas fairy. This palette is what dreams are made of. Look at these gorgeous red and pink shades. If you buy any girl this palette they will be sure to love you for ever and ever and ever. I love a pretty bottle as much as the next girl but with this gorgeous scent too, it’s a match made in heaven or should I say…flowers. This Christmas collection of liquid lipsticks is ideal for keeping in your handbag on the go – They are also long lasting which means you can eat Christmas dinner with a perfect pout. This toner tones, conditions and brightens your skin all in one bottle giving you that glowing goddess look just in time for Christmas. This is an absolute steal (for Jo Malone) – You get perfume, hand wash and body creme with their signature scents that are bound to leave you smelling absolutely delicious. And that’s just to name a few! These are some of my favourit beauty presents and stocking fillers for 2018 that I think would please anyone. There are so many fantastic beauty buys this year and I would love to know your favourites too, let me know in the comments below! Stay posted for some more Christmas gift guides as we make our way through to December over the next few days. Hasn’t it been a while…. Hi guys, im finally back with one of my favourite posts – all about Primark! I have been so busy lately with wedding plans and work I have neglected my poor little blog a wee bit. If you guys don’t follow me on my instagram, that is where you’ll find me most days keeping you guys updated with absolutely EVERYTHING! What are your staple pieces for summer 2018? Let me know in the comments! I you know me, you know I love a BARGAIN. I also love finding dupes for high end brands at affordable prices. Makeup Revolution has been one of my favourite brands for a very long time and I adore its range of products at such good prices. The quality is fantastic and they are constantly bringing out new designs which I think makes them such a competitor in the makeup industry right now! If you haven’t seen by now, they have recently brought out some new palettes which all look INCREDIBLE but with one in particular looking very similar to the Anastasia Beverly Hills Modern Renaissance Palette…..
As soon as I saw this I was out that door on my way to my local Superdrug on the hunt for this little gem. The palette contains 15 shades of reds, pinks and neutral colours ranging from mattes to shimmers, making it the perfect palette for this Valentines Month. As you guys can tell the shade range is extremely similar with the added black shade in the Makeup revolution palette. Of Course the other main difference is the price…. at £4 rather than £43 this palette is a steal. I have been testing it out for a few weeks and I absolutely LOVE it, the colours are very rich and pigmented and blend flawlessly together. I will definitely be creating some makeup tutorials using this very soon so stay tuned for that and let me know in the comments below if you have tried out the new RELOADED palettes – I would love to know your thoughts! Check out my Instagram where I post the most so I can follow you lovely lot too! Happy New Year + 2018 PLANS?! Can you believe that its 2018 already? It’s crazy! I wish you all a healthy and happy year ahead and hope it is filled with positivity, happiness and love. Speaking of love… this year is the year I get MARRIED! On September the 9th I will be getting married to the love of my life and can’t wait to spend the rest of my life together. We have just this second booked our honeymoon which is super exciting and just need to finalise a few final details for our trips! As I said I truly think that this year will be great. 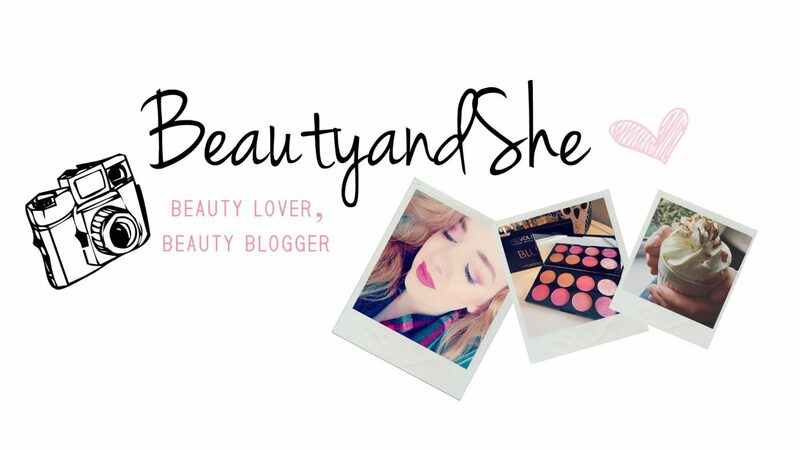 Looking back on the last year for my blog, it has grown so much and I have had some AMAZING opportunities working with brands and connecting with new people. I don’t usually do resolutions for the New Year but I would love to continue to make my blog and youtube channel grow and also discover more beautiful blogs/influencers too! Have you guys had a favourite memory from 2017? Or any achievements, even small? Then share them below! I would love to know! Twice in one month… THATS CRAZY! I have been loving Primark lately, and you know me dolls… if there is a bargain to be had then I am there! If you would like to see what I bought then look no further…. For a sneaky peek, here are some of my delightful purchases…. Let me know what you think of my haul guys? Have you bought anything recently? Let me know! I know I know, it’s been a bit of time since my last post on here but I PROMISE this is a good one! I don’t know about you guys but in the summer there is nothing I love more than a good tan and sparkling white teeth to match! I think it looks great for pictures and for my upcoming wedding I definitely wanted to try out some products ready for my big day! And no I do not look like ross… just yet….. I was sent a product from the company INSTANT WHITES to try out and test for you guys and share my experiences with you and I have to say I am so impressed…. You can check out my video here of my review and demo or just look below for a bit of light reading……. These products are clinically proven and used and made by dentists and contain NO PEROXIDE at all! Wowzaa!! The product is super easy and comes with simple instructions, the mouth guard (a bit like a gum shield) is filled with the activated gel and placed in the mouth, the UV light is also placed in front and that’s how it stays for 30 minutes! After a very slobbery and slimy 29.67839 minutes later you take out the kit and rinse, leaving a minty whiter smile after the first go! I was very surprised at seeing even a slight result after the first use but the most noticeable difference was after the second attempt. I DO NOT use this product every day as I don’t want to affect my enamel so I use this twice a week at the moment and I have been loving the results! Take a look at the before and after results from ONE WEEK of use. I highly recommend if you guys if you guys are looking for an AFFORDABLE teeth whitening product then give this one a go, as you now now it actually works! The only thing I would say is keep a ton of tissues handy as you will dribble quite a lot just like I did…..
Have you guys tried this product or something similar? I would love to know in the comments below, and what do you think of the results?